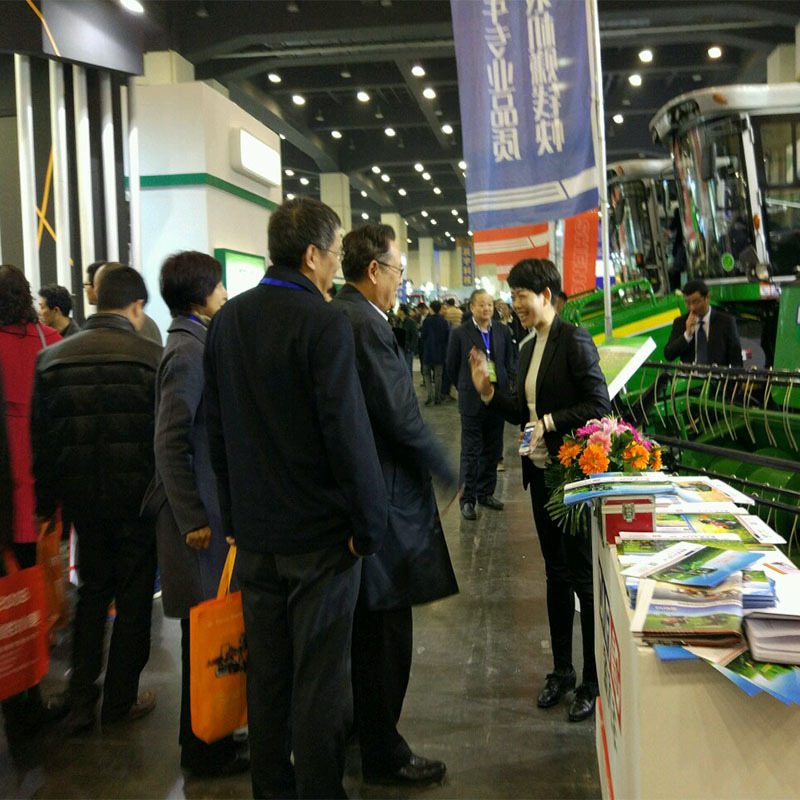 On April 21, [2017 National Agricultural Machinery Exhibition" was officially opened in the capital of Henan – Zhengzhou in the vibrant spring. 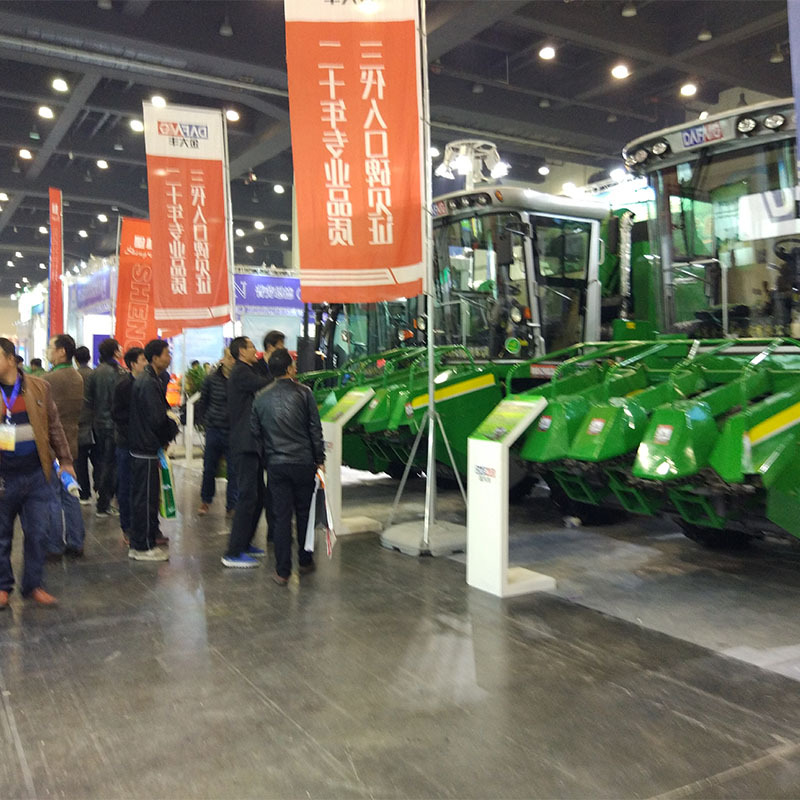 The 4YZ-3 self-propelled combine Corn Harvester and rice harvester exhibited by Shandong Gold Dafeng Machinery Co., Ltd. were unanimously favored by visitors. 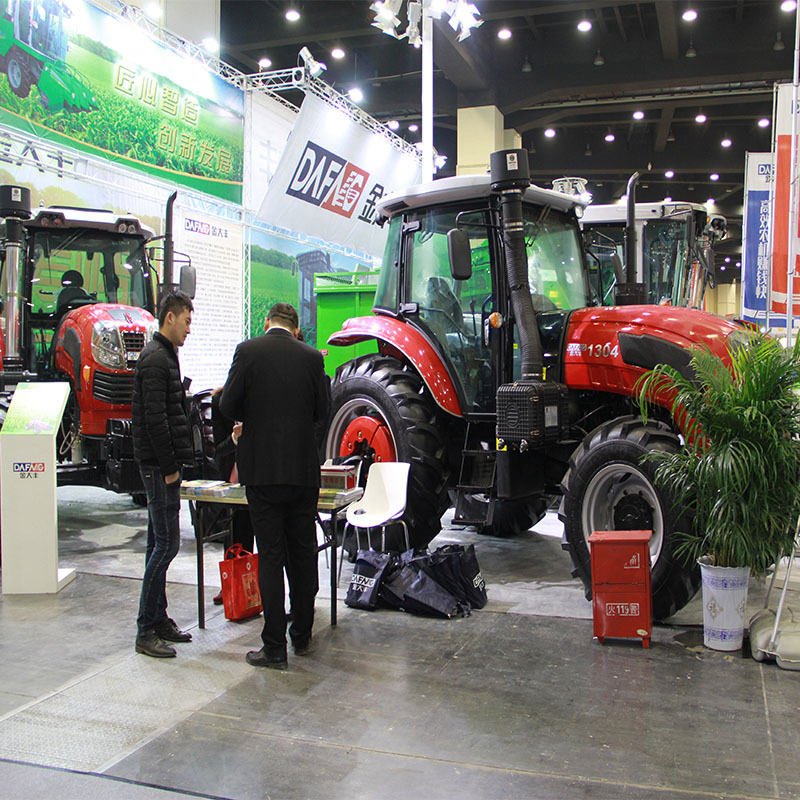 Gold Dafeng carried out comprehensive improvement on corn harvester series according to the operating effects and market reactions of the products. Their dynamic performance, peeling and crushing effects have been further improved. Over the years, Gold Dafeng has been taking up the mission of [Devote, Able, New, Gratitude", while constantly improving and perfecting product performances, to provide customers with products of higher quality. With their diligent and pragmatic work style and their dedication to corn harvesting, Gold Dafeng people are widely recognized by farmers.